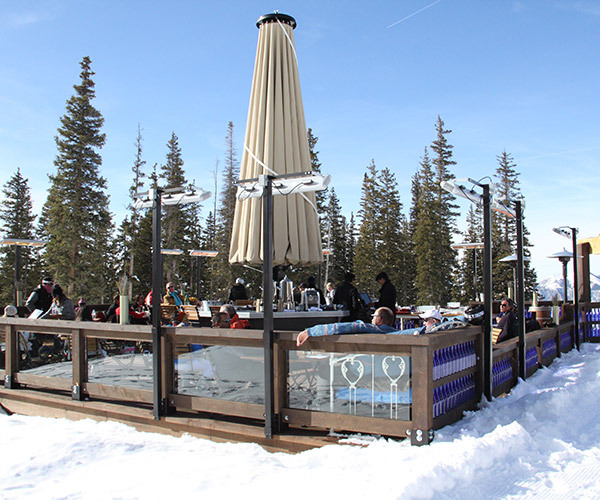 Ski resorts test the limits of any outdoor heating product and Solaira is the choice of some of the top resorts around the world including Telluride Co., Breckenridge Co, Whistler, BC, The Canyons UT, Killington, Vt, Fernie, BC to namedrop a few. 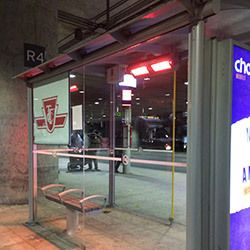 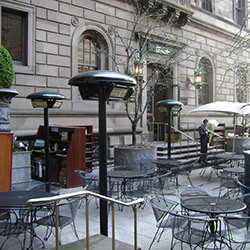 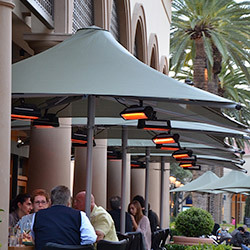 Cold temperatures, blowing snow and sleet are easily handled by Solaira weatherproof IP55 rated outdoor radiant heaters. 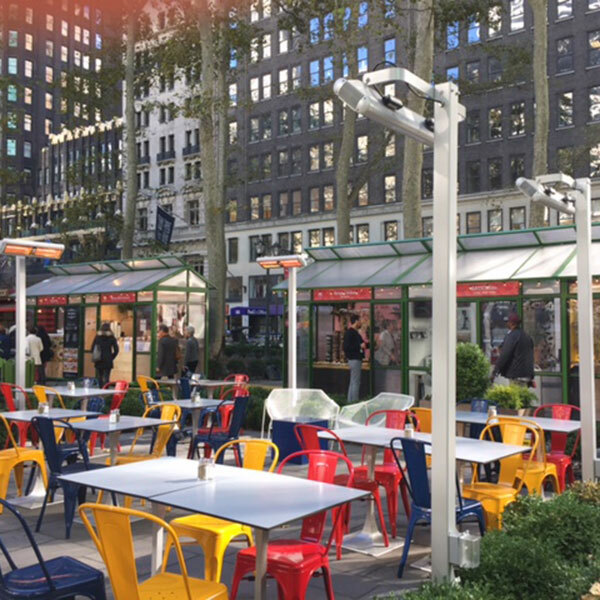 Output can be specified to deliver an achieved heat rise and Solaira S-wave radiant technology is virtually unaffected by wind, just like the warmth of the sun on a cold day. 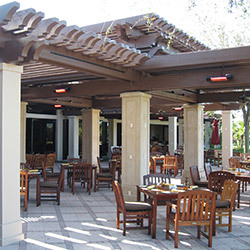 Solaira heaters can be used at a variety of ski resorts locations to heat any staff/lift attendants, in a valet/concierge environment and can also be used on most patios, balconies, and around any maintenance facilities that require supplemental heat. 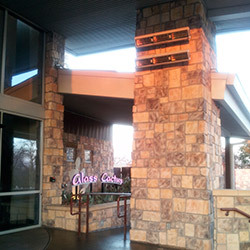 The idea is to utilize the benefits of Solairas short wave radiant heat if, and only when needed. 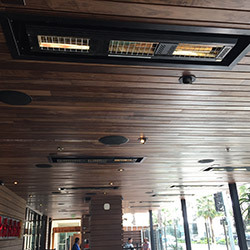 Solaira heaters are available in wall mount, ceiling mount and recess mount applications. 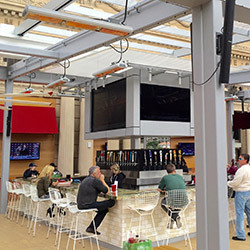 Solaira’s authorized dealers and distributors can support you with a layout design and mounting considerations to achieve target heat rise for almost any environment. 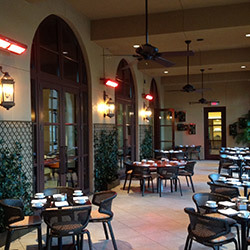 Solaira heaters can be integrated with state of the art control systems. 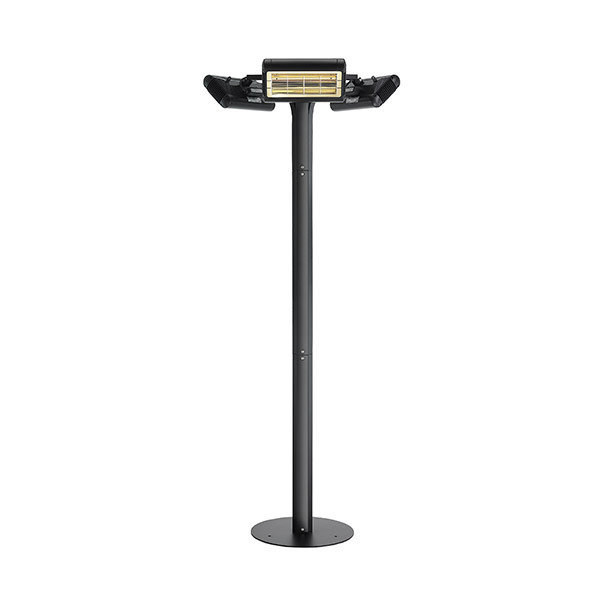 From building management (BMS) to stand alone variable, temperature and occupancy monitoring systems, a system can be designed to suit your specific requirements. 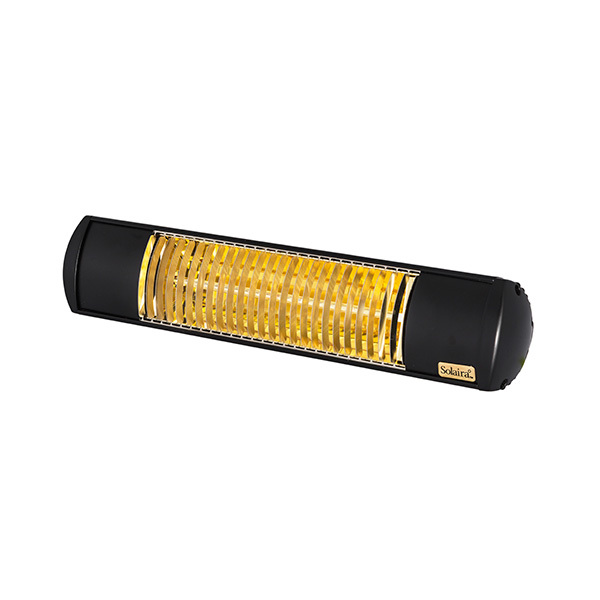 See which Solaira Heater is right for your application. 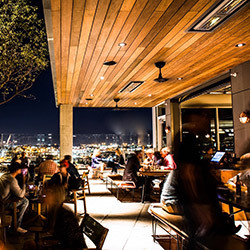 Click on an image that applies to your needs then select ‘Next’. 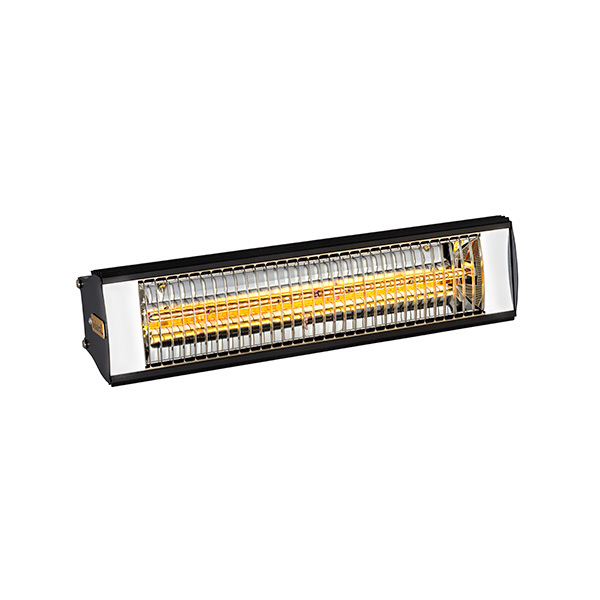 Solaira Candel Series Heater utilize an Ultra-Low Light Quarts emitter that provide high performance with less light for areas where reduced light is preferred. 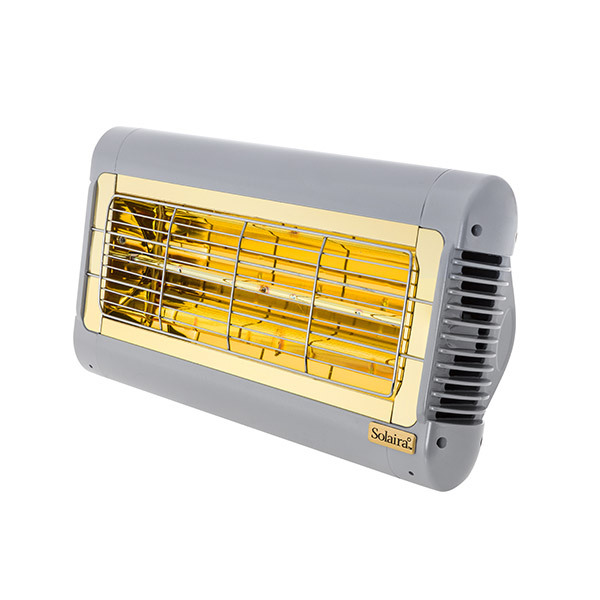 Solaira XL Series Heater is a sleek, slim waterproof heater suitable for customers looking for modern, discreet heaters that can be wall mounted. 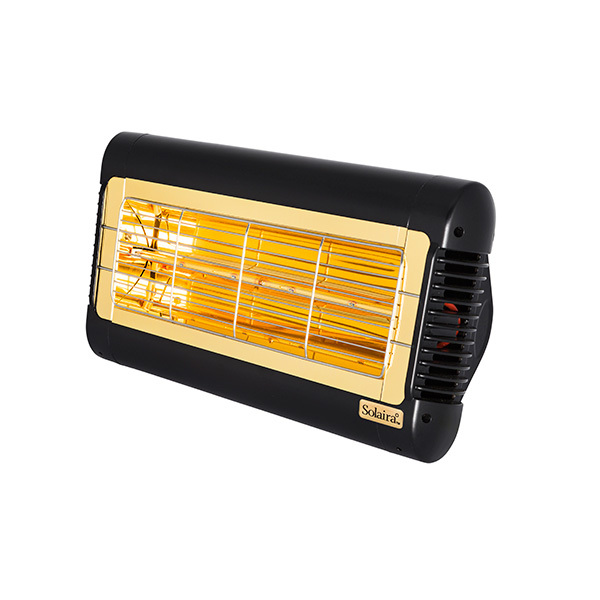 Solaira Cosy Series Heater is a sleek small footprint waterproof heater that is ideal for smaller areas where space is limited or under commercial umbrella. 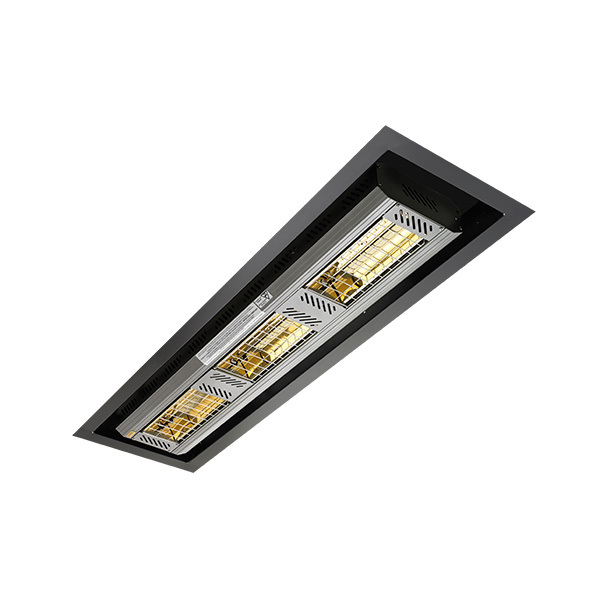 Ideal for large areas where traditional mounting heater mounting structures are not available. 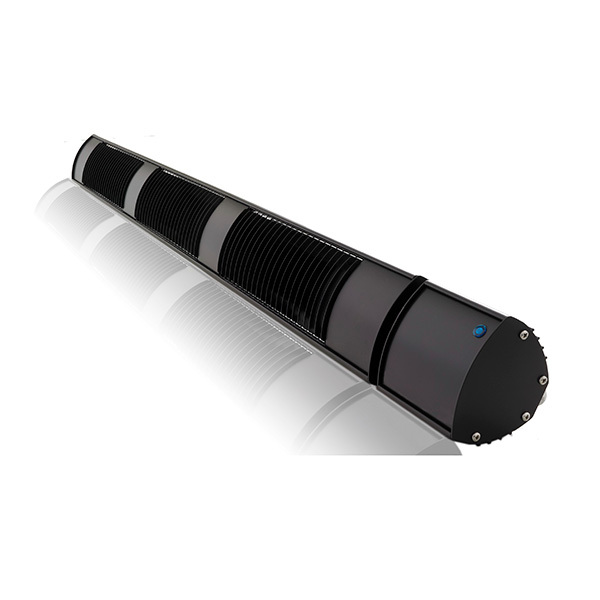 Solaira ICR integrated (recess) Heater is designed for architect and engineers looking to have high performance heat in a fully integrated (recess) design. 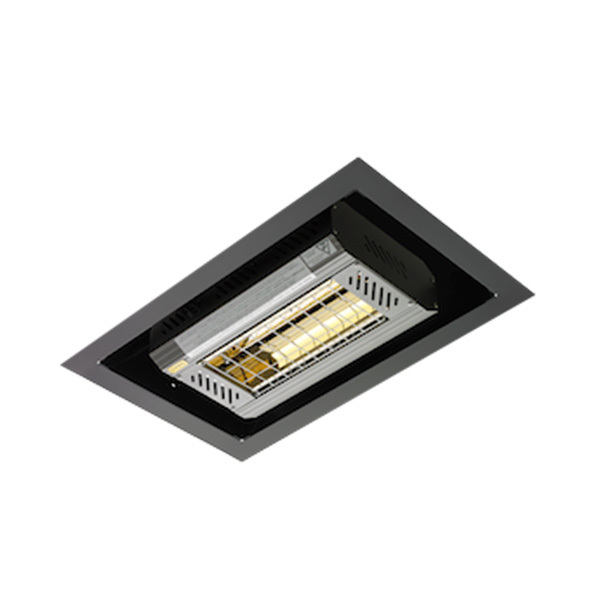 Solaira Candel ICR integrated (recess) Ultra-low light Heater is designed for architect and engineers looking to have high performance heat in a fully integrated (recess) design. 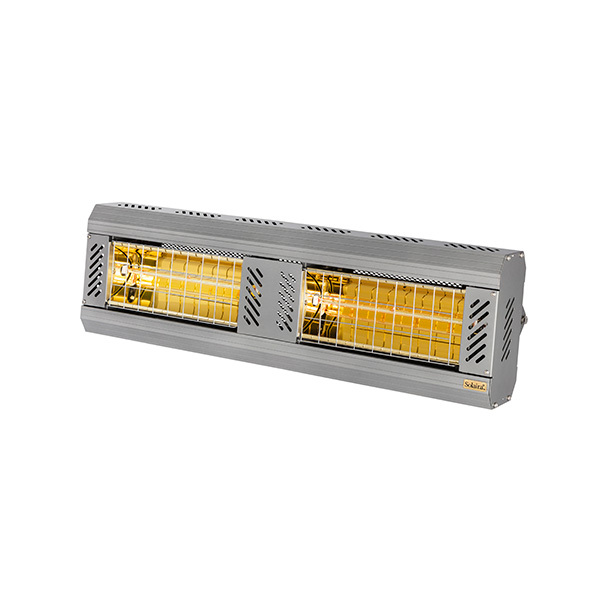 Solaira ICR Series Heater is an industrial grade heater suitable for high output requirements with low mounting clearance and integrated (recess) heater designs. 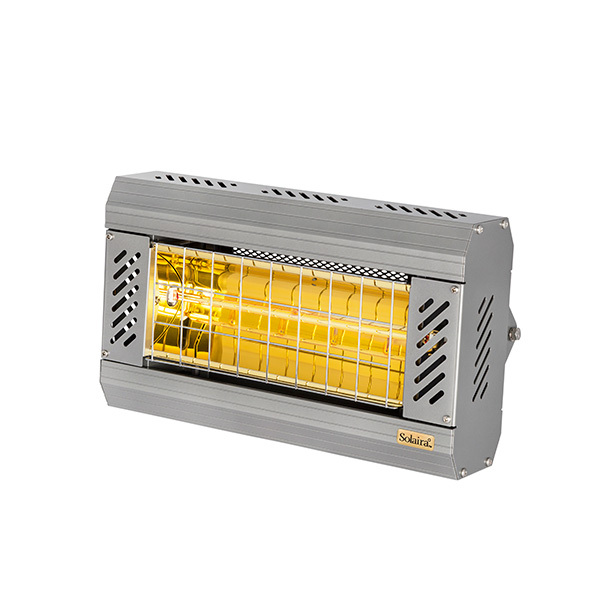 Solaira Alpha Series Heater with Euro design is a versatile, high performance, waterproof heater that can be mounted at high mounting heights and can be multi-mount to up to 18kW for large heating requirements. Weatherproof casing constructed of black, epoxy powder- coated aircraft quality aluminum.